Roll Call magazine confirms tonight what political insiders have suspected since Jane Harman first announced her resignation on February 7th, that she had already picked the woman to succeed her, and that that woman was Janice Hahn. Jane Harman, whose resignation from Congress became official Monday, was courting a candidate to replace her two weeks before announcing she was leaving Capitol Hill. She won’t officially endorse, but it’s clear she prefers Los Angeles City Councilwoman Janice Hahn, the woman she refers to as her little sister. As the world watched President Barack Obama deliver his State of the Union address Jan. 25, Hahn was Harman’s guest in the House chamber. Hahn told Roll Call during an interview at a local sushi restaurant that Harman had asked her that week about her future political plans and whether she would ever be interested in running for Harman’s 36th district seat. In the three weeks since Harman announced her resignation and Hahn announced her candidacy, the soon to be former congresswoman has allegedly worked the phones overtime, helping to secure a number of high profile congressional endorsements for her protege, including the endorsement of Senator Diane Feinstein. Hahn's endorsements did not deter Debra Bowen from announcing a week later. Polls put the two Democratic opponents neck and neck, and a runoff election seems likely. While Hahn continues to pursue endorsements from politcos throughout Southern California, Bowen had chosen a different route, characterizing her campaign as "people powered" and asking for grassroots "endorsements" from ordinary citizens. Yesterday, as thousands of Angelenos began assembling in solidarity downtown at LA City hall with the workers of Wisconsin, Marcy Winograd, the latest candidate to enter the race to fill Jane Harman's vacated congressional seat, kicked off her campaign with friends, family and about a dozen supporters on a windy sidewalk outside a Torrance, CA drugstore. The gathering was relatively modest compared to her campaign kickoff in 2009 against then incumbent, Jane Harman. Marcy gave a short speech where she emphasized her no-holds-barred progressive values and offered a true contrast to her incumbent opponent. She called for a "new New Deal" to put America back to work, announced support for John Conyers' HR 676, questioned the continued bailout of the banks and the use of Predator drone strikes in Pakistan, argued for rapid transit and renewable energy in the Los Angeles area, and said of her primary challenge, "this will reverberate throughout the country." Winograd's choice to run for CA36 has a number of progressive activists scratching their heads. 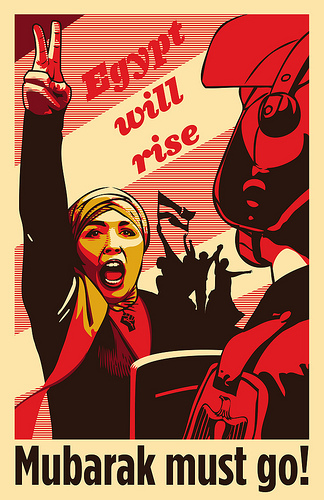 With Harman out of the picture, Winograd's candidacy no longer has the urgency of a protest campaign. And with two well-known Democrats already contesting the open seat, including Debra Bowen, California's popular and progressive Secretary of State, Winograd has virtually no chance of surviving the first round of voting, let alone winning the seat outright. Even though Winograd took 41% of the vote in her last primary challenge against Harman, the dynamic is far different in this race. Under new rules approved by voters last year, the CA36 race will be the first congressional election in California run as an "open primary". Under this system all candidates, regardless of party affiliation, run against each other in a single contest. If no one candidate gets more than 50% of the vote, the top two vote-getters advance to a second election. In this way, the election more closely mirrors a general election, since Republicans, Democrats and Independents can vote for any candidate. So far there are three Democrats in the race and only one Republican - Mike Webb, the City Attorney of Redondo Beach. Since Republican candidates have in the past captured between 30%-40% of the CA36 vote in the general election, it's far more likely Webb (if he remains the only Republican in the race) would advance to the second round against either Hahn or Bowen, than it is for Winograd. If Winograd herself is worried about splitting votes with the more liberal Debra Bowen and handing the election to Hahn - Jane Harman's preferred candidate - or a Republican, she's not showing it. Asked if she was worried about playing a spoiler role for Bowen, Winograd said she likes Bowen and would like to see her continue as Secretary of State. "I have great respect for Debra Bowen," she said. "I'm glad to see she is taking more of a leadership role on getting out of Afghanistan. That's good. I think my entering the race plays a role in shaping the debate." However, progressive activists who supported Winograd in the past aren't so sanguine, and are withholding both monetary support and endorsements, choosing instead to support Bowen. Another challenge for Winograd, who is accustomed to running against Harman, will be defining herself to voters. Both Hahn and Bowen are far to the left of Harman - neither are Blue Dog Democrats like the former congresswoman - so there's very little substantive issues where the three differ. Without Harman as a foil, it will remain to be seen if Winograd can make a case for herself with voters in 2011. Winograd and her supporters seem to understand this, because they're doing everything they can to keep Harman a factor in the campaign. "Bowen's whole political career is a mirror image of Jane Harman's record and her right-of-center races for the assembly and senate are there for all to see!" A boisterous crowd of pro-union demonstrators gathered on the steps of Los Angeles City Hall on Saturday, loudly voicing support for unionized workers in Wisconsin and expressing concern that the perennially forceful labor movement in California could one day face a similar crisis. For roughly two weeks, Wisconsin protesters and politicians have been in a standoff over the governor's proposal to strip most public employees of their collective bargaining rights. Wisconsin Gov. Scott Walker says the state is broke and must make drastic spending cuts. Unions say Republican leaders are trying to wipe them out. The pro-union demonstration in Los Angeles was one of many held throughout the nation Saturday. All three Democratic candidates for CA36 attended the rally, hoping to appeal to potential union supporters. WATCH: Debra Bowen speaks in support of worker's rights. Your moment of Zen. Enjoy. The Pasadena Star News is reporting tonight that Santa Monica resident Marcy Winograd will officially enter the race to replace her long-time opponent Jane Harman. Anti-war activist and progressive Democrat Marcy Winograd said Thursday that she's planning a run for a soon-to-be-vacated South Bay congressional seat. An official announcement is scheduled to be made at 10 a.m. Saturday at Fox Drugs, 1327 El Prado Ave. in Torrance, Winograd said. Winograd, a Santa Monica resident, took 41 percent of the vote in last June's 36th Congressional District primary against Rep. Jane Harman, who is expected to resign Monday to lead the Woodrow Wilson International Center for Scholars, a Washington think tank. Explaining her decision to run, Winograd said, "I feel that we need a real progressive in the race, somebody who has been advocating for a long, long time that we need to transition from a war economy to a green economy." As I reported earlier, Janice Hahn's campaign apparently baited Winograd into running, hoping to split the progressive vote with Debra Bowen, a development which would benefit Hahn. A PCCC poll released earlier this week between Bowen and Hahn put Bowen 4 points ahead. But an internal poll released by the Hahn campaign, which included Winograd, put Hahn 5 points over Bowen. A new poll from the Progressive Change Campaign Committee shows voters in the southern California district soon to be vacated by Rep. Jane Harman (D) are ready to support a candidate who's going to protect traditional entitlement programs like Social Security and Medicare. The poll shows 70% of voters in the district say it's "more important to prevent Social Security from being cut" than it is to "cut Social Security to reduce deficit," which just 22% of the respondents support. It's a similar story for Medicare. Sixty-four percent of voters surveyed said it was more important to keep the program intact than cut it as part of a plan to reduce the budget deficit. Only 22% said they'd put the deficit ahead of Medicare. That's not to say the voters in Harman's don't favor making cuts to reduce the deficit -- they just prefer those cuts come from the massive defense budget. Fifty-nine percent in the PCCC poll said it's more important to cut the money spent on defense to reduce the deficit than it is to protect defense spending from cuts. PCCC's Adam Green says the reticence to sign on to such schemes from voters in Harman's district shows the seat is ripe for a progressive pickup. The PCCC has not yet endorsed in the race and is currently weighing its options. It seems clear that whichever candidate the group chooses will need to be a strong advocate for Social Security and Medicare, however. "Like most Americans, voters in this district want a bold progressive fighter. They want someone who will boldly challenge the false equivalency that says overwhelmingly-popular programs like Social Security and Medicare must be on the chopping block along with less popular things like military spending," Green said. "The candidate who mounts the most passionate defense of Social Security and Medicare will have an advantage in this neck-and-neck race." The PCCC famously raised over $300K for progressive challenger Bill Halter against Blue Dog Senator Blanche Lincoln in the Arkansas primary. What Do All Those Endorsements For Janice Hahn Really Mean? Today the folks at Hahn Campaign ™ touted yet another high-profile endorsement, that of newly elected State Senator and former political rival Ted Lieu. Lieu went on to win 57% of the vote after Hahn announced she would not run for the seat vacated by State Senator Jenny Oropeza's death, clearing the field for a Lieu victory. Lieu's is a significant endorsement since his district and CA36 share much of the same territory. The Hahn Campaign ™has been working the phones overtime ever since she announced her candidacy two weeks ago. But what do all these endorsements mean? And why is Hahn working so hard to get them? I'll answer the second question first. Candidates work so hard for endorsements for several reasons. Endorsements mean money and resources. Endorsing officials and community leaders will often do so on the condition they'll fundraise, or lend their names to fundraisers to draw participation. Organizations like unions can lend significant institutional support by putting boots on the ground to canvas and phone bank. An impressive and extensive list of endorsements convey inferred legitimacy to a candidate. They act as "validators" for the busy voter, who might not be paying very close attention to a politician's policies, but who sees the name of a trusted official or organization endorsing a candidate and thinks their policies and values must closely mirror their own. Lastly, endorsements can also act as a "shock and awe" strategy, discouraging lesser-known or under-resourced candidates from entering the race, clearing the field of pesky challengers. The Hahn Campaign ™has been working the "shock and awe" doctrine overtime. Within 24 hours of announcing her candidacy, Hahn had secured the endorsement of dozens of politicians, including the Mayor of Los Angeles and nearly the entire LA City Council. In two weeks, she's amassed over 80 endorsements, all the way from Senator Diane Feinstein to the President of the Long Beach Democratic Club. But what do all these endorsements really mean? Or, as one politician who's name sits high on the Hahn Campaign's ™ endorsement list told me, "Look kid, if Hahn loses, I still have to work with her. If she wins, I have a friend in congress." While not all the endorsements on Hahn's website represent this kind of transactional politics, a lot of them do. Nearly every name on Hahn's list endorsed before the other Democratic candidate, Debra Bowen, had officially announced. The Hahn Campaign ™ was calling in favors, and they were calling them in as fast as they could. So my advice when analyzing endorsements in this race, especially so early on, is to ask yourself, "What does the endorser get out of this?" Is the politican/oganization endorsing because they think that candidate would be the best one for the district, or because they owe that candidate a favor, fear repercussions if they don't endorse or hope to do a little horse-trading in the future? Do your homework, ask questions, then decide. On Friday I reported on a cynical ploy by the Hahn/Trippi camp to bait Marcy Winograd into the CA36 race in an effort to split the Progressive vote and harm Debra Bowen's chances in the race. This morning, Winograd took the bait, sending out a letter asking supporters and donors to withhold endorsing anyone since she "may run". 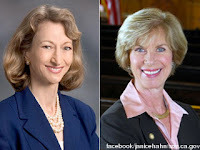 At first, I had hoped to support one of the other Democratic Party candidates, either Janice Hahn or Debra Bowen, but both are following in Harman's footsteps, most recently with Bowen signing Hahn's pledge to support Israel unconditionally, condemn "anti-Israel" rhetoric, and praise Harman for her leadership on nationalsecurity. Regardless of where we stand on middle east issues, most Americans embrace free speech and welcome debate. To try to silence dissent in the 36th district and beyond is troubling at best; foreboding at worst. We deserve real representation, not politicians beholden to special interest groups, rubber-stamping failed foreign policies. The pledge Bowen signed on to was a fairly benign document supporting Israel's right to exist, but also contained language specifically engineered to provoke and criticize Winograd. Only a week earlier, Hahn had sought Winograd's endorsement in the CA36 race. If Winograd did chose to enter the race, it would benefit Hahn in two ways. First, with no one candidate likely to get the 50%+1 they would need to win in the first round in the new "open primary" system, it's to the advantage of the stronger candidate - in this case Hahn - to make weaker opponents split the vote. The best Winograd will be able to do is split votes with Bowen to force a runoff Winograd won't be in. Hahn is hoping Winograd will split the votes enough to take both herself and Bowen out of the first round. Second, Winograd is all but announcing she'd be running on a single issue, Israel, since there are no other issues where she and Bowen have substantive differences. And that's not enough to sustain a campaign unless Winograd creates artificial controversies in an attempt to demonize Bowen. Should Bowen and Hahn advance to the second round of voting, Winograd's attacks would give Hahn a treasure trove of negative campaign material she could use against Bowen. In what can only be described as a cynical and calculated move to bait Marcy Winograd into entering the CA36 Congressional race and split the progressive vote, Janice Hahn issued a press release today urging Debra Bowen to join her in a pro-Israel pledge. "I think it's too late for a two-state solution. Israel has made it all but impossible for two states to exist." "Not only do I think a two-state solution is unrealistic, but also fundamentally wrong..."
"As a citizen of the United States, I do not want my tax dollars to support institutionalized racism. As a Jew, I do not want my name or country associated with occupation or extermination." "Let us declare a one-state solution." These remarks prompted Congressman Henry Waxman to repond by saying that, "in Marcy Winograd's foreign policy, Israel would cease to exist. In Marcy Winograd's vision, Jews would be at the mercy of those who do not respect democracy or human rights." I agree with Congressman Waxman. "I did some hard analysis about where I thought I could best serve this country and this state at this moment in history," Bowen said. The former lawmaker said she plans to focus on improving education and strengthening jobs in the local aerospace industry while also building up the nation's military. Marcy Winograd in particular jumped at the quote, and forwarded her concerns to listserves throughout the district. I thought I'd share concern expressed on the CDP Progressive Caucus list serve about a Daily Breeze report that Debra Bowen, when announcing her candidacy, indicated that she supported a military build-up. .... For me, this is code for more bomb-building, with no emphasis on transitioning aerospace into Green jobs that we desperately need. Last week I asked her if she would join the Out of Afghanistan Caucus, but never received an answer on that issue. Bowen quickly sent out a letter to supporters in the district saying she was "stunned" to see her interview characterized as it was, and said she had called the reporter to correct the record. I'm gravely concerned about the cost of war and the number of lives lost. I think we need a safe and rapid exit from Afghanistan, for one example, and said so very specifically in that interview. I would much rather that these resources go towards jump starting our economy, restoring excellence in our schools and providing quality job training, developing energy independence via green alternatives, improving on health care as it is implemented, and addressing the need for care for the increasing number of seniors with dementia and Alzheimer's and children with autism, diabetes, and other conditions that threaten their independence and quality of life. Janice Hahn and her campaign manager, Joe Trippi, are trying to kill two birds with one stone here. First, they want to paint Bowen in a corner with the Jewish community, secondly, they are hoping they can provoke Winograd to run. It's a clever, yet deeply cynical strategy, especially since Winograd was one of the first endorsements Hahn sought after learning of Harman's resignation. With a credible Republican challenger now in the race - Redondo Beach City Attorney Mike Webb - a split vote between Bowen and Winograd would likely eliminate both in the first round of voting. In the new "open primary" system the two top voter-getters would advance to a second round of voting if no one receives %50+1 of the primary vote. And that's unlikely with a three or four-way ticket. "Regardless of where we stand on Middle East issues, most of us support free speech and fundamental Constitutional rights. What is troubling is that two elected officials are now on record trying to silence dissent in the 36th Congressional district and beyond." I've heard from several Winograd supporters/donors who've said they were contacted and asked to withhold endorsing anyone for the moment. As I reported this morning, Debra Bowen has officially entered the CA-36 race today. Minutes ago, she sent out the email announcing her campaign to supporters in the district. I have some exciting news and I wanted to share it directly with you: I’ve decided to run for Congress in the 36th District! Thank you so much for your feedback and support over the last few days. The strong outpouring of encouragement from friends like you was a major factor in my decision, and I hope I can count on your support during my run for Congress. As a legislator for 14 years and your Secretary of State since 2007, I’ve taken pride in making our government work better for the people it represents, while making it more transparent, accessible, and accountable every step of the way. That’s a fight that I’ll continue in Congress. Emphasis mine. Venice For Change has just learned that the open primary to fill Jane Harman's seat won't have happen until the middle of June at the earliest, not April 12, as I had previously reported. Jerry Brown, after asking Jane Harman to resign this week to facilitate an earlier date for a the CA36 special election, has evidently had a change of heart and has asked Harman to delay her resignation until Feb. 28. I've been told he's done this because he's trying to delay announcing the date for the CA36 special election as long as possible. Brown's goal is to piggy-back the CA36 election on the same date as the special budget initiative election he wants to call in June. The problem is, the initiative election date isn't up to him, it's up to the legislature and their ability to come up with a budget in time to allow for a June election (they have to set a date 90 days out). Since Brown has to call the date of the election within 14 days of Harman's resignation, he's trying to buy as much time as possible. This could still all fall apart if the legislature fails to act by the middle of March. But regardless of the outcome of the budget initiative election, this means CA36 primary would not happen before the middle of June, and if no one candidate gets 50%+1, it means the runoff election won't happen until August at the earliest. I've been told Brown will be putting out a statement about the CA36 election later today. Today, on the same day Jane Harman officially vacated her seat in Congress, Secretary of State Debra Bowen will announce she's joining LA City Janice Hahn in the race to replace Harman. If successful, this would be Debra Bowen's second time representing the area. Bowen was elected to represent the 53rd Assembly District in 1992 and was re-elected in 1994 and 1996 before being elected to represent the 28th Senate District in 1998. Bowen was re-elected to her second and final four-year Senate term in 2002, representing the 28th District which stretches from Venice in the north, down the coast to Redondo Beach, then east to include all or parts of Carson, San Pedro, Long Beach, and Wilmington. During her time in the Legislature, she was best known for shepherding laws that require that all election results be audited using the paper trail produced by electronic voting machines, laws allowing people to become permanent absentee voters, and laws which unlocked the Legislature's computer files and gave computer users Internet access to information about bills, committee analyses and legislators' voting records. Bowen was also the first California lawmaker to voluntarily put her campaign finance reports online in 1995, several years before all candidates for state office were required to do so. 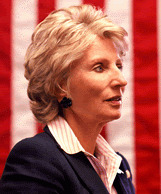 In 2006, Bowen was elected as Secretary of State, only the sixth woman to be elected to state-wide constitutional office. She was elected to a second term in 2010. The race to replace Harman is likely to a competitive one. Janice Hahn has already racked up an impressive list of endorsements, including LA Councilman Bill Rosendahl (who lives in CA-36), LA Mayor Antonio Villaraigosa, CA Assembly Speaker John Perez and, most notably, Senator Diane Feinstein. How these endorsements will translate into votes is unclear at this point. Bowen and Hahn aren't likely to stay the only two candidates in this race, with two-time Harman primary challenger Marcy Winograd reportedly contemplating a run, and a number of Republicans and Tea Party members also considering their options. Governor Jerry Brown has until March 1st to set a date for a special election to fill Harman's seat. According to Janice Hahn, the primary election will likely be held on April 12, with a general election coming sometime in June. The special election primary will be held under new "open primary" rules. Voters can select any candidate, regardless of party affiliation. If no candidate gets 50% +1, the top two vote-getters will have to run against each other in a June runoff. Will Debra Bowen Announce She's Running For Jane Harman's Congressional Seat Tomorrow? On Saturday, Bowen publicized her "exploratory committee" website, asking for constituent input on wether she should run. And all weekend I've been hearing reports of CA-36 voters being polled via robo-call about the race. Separate reports I've received say that Bowen and her campaign manager, Park Skelton, are waiting on poll results before making an announcement on Tuesday. Potential candidates are rarely this public about entering a race without actually following through. So I'm going to go out on a very short limb and say by this time tomorrow it's likely we'll have two official Democratic candidates competing for Jane Harman's seat, Debra Bowen and Janice Hahn. Hahn, who announced within hours of Harman's resignation, has been busy locking up a number of high-profile endorsements, including LA Mayor Antonio Villaraigosa, Councilman Bill Rosendahl and California Assembly Speaker John Perez. Bowen has the defacto support of California progressives and California Democratic Party Chairman John Burton, who sent out an email on February 7th claiming Bowen was the only person to "officially inform" him they were running for Congress. This even though Janice Hahn had announced earlier that same day she was running. It sets off an interesting dynamic, with politicos in Sacramento and Los Angeles taking sides in a race outside their district. How this will translate into votes inside the district is unclear. But in another race a with similar (but far from identical) dynamic, the 2010 Democratic primary for Lt. Governor, Janice Hahn beat Gavin Newsom by 9 points in CA36. This was actually lower than the spread for LA County, where she beat Newsom by 30 points. All of this points to a very competitive race, where both candidates will have to work very hard in a very short amount of time for votes and money in an off-year election where few are paying attention. With Harman's resignation set for tomorrow, Governor Jerry Brown has until March 1st to set a date for a special election to fill Harman's seat. According to Janice Hahn, the primary election will likely be held on April 12, with a general election coming sometime in June. Don't Forget To Vote For Ted Lieu for State Senate Tomorrow! Former 53rd AD Assemblymember Ted Lieu is running in the February 15 special election (TOMORROW!!!) to fill Jenny Oropeza's Senate District seat. The big push is to get Ted elected by 50% plus one so that he wins outright and we don't need to go through a April 19 run-off election. This save tax payers' money, and most importantly, gets Ted in the State Senate working immediately on the issues that matter most to us. Go out and vote, and bring a friend! If you haven't turned in your absentee ballot yet, just bring it to your polling place and drop it off. To find out where your polling place is, click on this link to find out! I know the 36th Congressional District well: It includes my home, as well as most of the people I represented during my time in the California State Legislature. So I'm very seriously weighing whether I should run for Congress. It’s a big decision. I’m thinking carefully about it, talking it over with my family, friends, and supporters, and I certainly want to know what longtime friends and supporters like you think, too. So far, the only declared candidate to fill Jane Harman's seat is Janice Hahn, who announced her candidacy within hours of Harman's resignation. Hahn has already amassed a number of high-profile endorsements so far, including Mayor Antonio Villaraigosa and California Assembly Speaker John Perez. “Janice Hahn is a local leader who will go to Washington and fight for California, and create even more jobs. In just six days she has built a lot of momentum and is clearly taking the lead, receiving overwhelming support from local elected officials, community leaders and labor groups, and I am happy to be a part of her team,” said Speaker Perez in a press release distributed by Hahn's campaign. Hahn is reported to have said a primary election would likely happen on April 12, only 10 weeks away. A number of local leaders and bloggers (including myself) have been approached by Hahn for an endorsement, but have so far withheld publicly supporting any candidate, waiting to see who else gets into the race. To get an idea of what a Hahn/Bowen matchup might look like, it's instructive to look at this map showing how the district voted in 2010 in the Hahn/Newsom race for Lt. Governor. Leaderless, compelled by - but by no means determined by - social media, the Egyptian people rose up and smacked down a dictator who held their country in an iron grip for 30 years. It's impossible to know what will happen next, but one thing can be known with absolute certainty. The LA Times is reporting tonight that Rep. Jane Harman will be resigning her seat two weeks earlier than expected after conversations with Gov. Jerry Brown regarding the timing of a special election to fill the vacancy. Retiring Rep. Jane Harman (D-Venice) said Thursday that she would resign her House seat Tuesday to allow for a special election to replace her in early June. Harman, who has been criticized for accepting a job with a Washington think tank so soon after winning reelection in November, said she wants to make the election "as inexpensive and as convenient for voters as possible" by allowing it to be held the same time as a potential statewide election on taxes. She said she has had two conversations with Gov. Jerry Brown about the timing of her resignation. Once her seat is vacant, Brown can call a special election to be held within a specific time frame. He is hoping to ask voters in June to extend several expiring tax increases to help the state out of its budget deficit. Also being reported tonight, the special election primary will "likely" be held April 12, according Janice Hahn, the only candidate to formally enter the race so far. With Harman's resignation set for February 15, Governor Jerry Brown has until March 1st to set a date for a special election to fill Harman's seat. According to California election law, the election must be held between 112 and 126 days after the seat becomes vacant. June 7th, at 112 days out, is a likely election date for the probable run-off, since it will coincide with the special state-wide initiative election Brown wants to call. Yesterday, Representative Jane Harman announced her intention to resign from Congress to head the Woodrow Wilson International Center. Today, she made it official. Rep. Jane Harman gave more than her two weeks’ notice Tuesday when she confirmed her decision to leave the House of Representatives for a think tank, ending her 16-year career as a leading centrist force on Capitol Hill. Harman was officially offered and accepted the job of president, CEO and director of the Woodrow Wilson International Center for Scholars said at a press conference Tuesday morning. She plans to start work there on Feb. 28. In an interview on MSNBC, Harman said the job materialized only after she was reelected to an eighth term in November. “After the election, after I was reelected by a large margin as moderate, which was a rare occurrence in the last election, the search committee came to me and I spoke to them in mid-to-late December about this opportunity,” she said. When asked if she would endorse a successor for her seat, Harman only said she wouldn't do so before she left Congress. LA Councilwoman Janice Hahn, who is closely aligned with Harman and who attended the recent State Of The Union speech at Harman's invitation, has officially entered the race. California Secretary of State Debra Bowen is widely reported to be seriously considering a run, as is Marcy Winograd, who twice challenged Harman in the Democratic primary. Mattie Fein, the Republican candidate who lost to Harman in November, 60% to 35%, said she might run again as well. Governor Jerry Brown has until March 14th to set a date for a special election to fill Harman's seat. The election must be held between 112 and 126 days after the seat becomes vacant. The special election will be held under new "open primary" rules. Voters can select any candidate, regardless of party affiliation. If no candidate gets 50% +1, the top two vote-getters will have to run against each other in a runoff. Things just got a whole lot more interesting in CD36. This email just came in from John Burton, Chairman of the California Democratic Party. Earlier today we learned that U.S. Representative Jane Harman (D-Venice) will be resigning from the House of Representatives in order to lead the Woodrow Wilson Center in Washington, D.C.
For almost two decades, Representative Harman has served the people of the 36th congressional district where she will be remembered as an advocate for her district and a strong voice in foreign policy. We wish her well in her new endeavor. As of the sending of this email, the only candidate that has officially informed the California Democratic Party that they are running in the 36th congressional district is Debra Bowen. Bowen has been our Secretary of State since 2007 and she is a former State Senator and State Assemblymember from the area. The date of the special election has not been set but as we learn more – and as any other candidates inform the Party they intend to run – we will keep you updated. Bowen has made no official announcement yet, but she does have a newly-activated Act Blue page for donations. Jane Harman's retirement plans has raised the prospect that her left-wing 2008 primary challenger, Marcy Winograd, could capture the seat in a liberal California district. One possible hitch: Winograd, a Democrat tells POLITICO, has considered leaving the party all together. "We were informed by a colleague of Marcy's last evening that she intended to register as 'decline to state,'" said Los Angeles Democratic Party chairman Eric Bauman, referring to the state's registration for independent voters. Winograd tells me she hasn't yet left the party: "I'm still a Democrat," she said. "I had been considering registering as a decline to state because there are a lot of people who long for independent voice, and I have always opposed the perpetual war policies of Republicans and Democrats." Of running for the Harman seat, she said: "I'm weighting my options. I may run." She also said one candidate, City Councilman Janice Hahn, had already called to ask her endorsement, but that she'd been putten off when her question to Hahn about Israel drew "a knee jerk repsonse that 'I'm a friend of Israel,'" which signaled to Winograd that if Hahn's elected, "we will once again have representative who is not an independent voice." She said she was waiting to see if another candidate Debra Bowen, would run. Winograd no longer resides in CD36, and has reportedly re-registered to vote in Henry Waxman's district. UPDATE 2/8: This morning Winograd issued a press release more or less confirming the Politico report. ‘I am exploring the possibility,’ I told them, adding that I live in Santa Monica now, less than a mile outside of the district that hugs the coast from Venice to San Pedro. In 2010, just months ago, the Winograd for Congress campaign mobilized 41% of the vote in a primary challenge to Harman. It was exhilarating, daunting, inspiring, and eye-opening as I precinct walked from one end of the district to the other. Most of the support came from the northern end of the district, from Venice and Mar Vista, but we enjoyed significant inroads in the working class union strongholds of Wilmington and San Pedro. I barely had time to digest the political possibilities before running back to class, to my South LA high school students, some of them dressed in military fatigues, where we would read Vietnam veteran Ron Kovic’s essay, “Breaking the Silence of the Night,’ a passionate account of Kovic’s transformation from blind follower to critical thinker and anti-war leader. Winograd also stated she had yet to meet or talk with Debra Bowen, the other potential high-profile candidate besides Janice Hahn, but that she would make a decision on whether or not to run based on that meeting. Los Angeles City Councilwoman Janice Hahn intends to run for Democratic Rep. Jane Harman’s House seat when Harman resigns this week, according to a source familiar with Hahn’s plans. Hahn is a member of a prominent Los Angeles political family: Her father, Kenneth Hahn, was a Los Angeles County supervisor known for his support for the civil rights movement, and her brother James was mayor from 2001 to 2005. She ran for the Democratic nomination for lieutenant governor last year, but came in second to then-San Francisco Mayor Gavin Newsom. Secretary of State Debra Bowen confirmed on Twitter, she's "seriously thinking" of running for the seat as well, but has made no formal announcement. 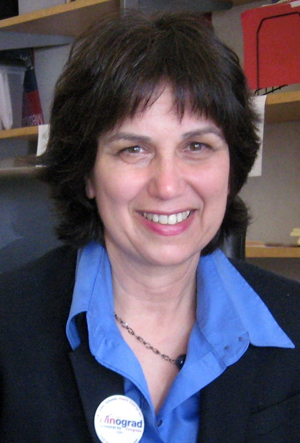 Marcy Winograd, Jane Harman's primary opponent in 2006 and 2010, left the district and has reportedly registered in Henry Waxman's district. LOS ANGELES, CA - Los Angeles City Councilwoman Janice Hahn today announces the start of her campaign for California’s 36th Congressional District, which is being vacated by Congresswoman Jane Harman in March. “It has been an honor to work closely with Congresswoman Harman over the past decade on a variety of important efforts to create jobs and improve security at LAX and the port. Her leadership will be missed,” said Hahn. “I’m running for Congress to create new jobs, expand clean energy technologies and ensure that local small business owners get the help and opportunities they need to flourish in a global economy,” said Hahn. Councilwoman Hahn currently represents a significant portion of the South Bay on the Los Angeles City Council. Most significantly, she serves as the Chair of the Trade, Commerce and Tourism Committee, which oversees the Port of Los Angeles, the Los Angeles International Airport and the Convention & Visitors Bureau. The Port and Airport have enormous implications for residents of the 36th District in terms of economic revitalization and job creation. “I plan to work hard to win this seat. I am ready to run and ready to serve the people of the 36th District,” added the Councilwoman. Councilwoman Hahn, 58 years old, is a Democrat and resides in San Pedro, a Los Angeles community in the 36th Congressional District. Hahn’s public service runs in the family: her father is former Los Angeles County Supervisor Kenneth Hahn, and her brother is former Los Angeles Mayor James Hahn. Hahn was the Democratic nominee for the 36th Congressional District in 1998, when Harman left office to run for Governor. Rep. Jane Harman (D, a nine-term incumbent for the South Bay, announced today she will be resigning her seat. Earlier today, I filed paperwork notifying the House of Representatives that I am in discussions to succeed former Rep. Lee Hamilton as President and CEO of the Woodrow Wilson International Center for Scholars. I send this note because a decision is imminent and I wanted you to hear the news from me first. This is an excruciating decision because the distinction of representing the smartest constituents on earth will never be surpassed – nor will my relationships with my exceptional staff and colleagues in Congress. But shaping and leading the Wilson Center is a thrilling new challenge. The news came as a surprise to both her constituents and fellow Democratic lawmakers in Congress, many of whom first learned of it from an MSNBC report. According to the California election code, a special primary election to fill the vacancy will have to happen between 112 and 126 days from Harman's resignation. The election will be held under the new "open primary" system, where the two top vote-getters, irregardless of party affiliation, will advance to the general election. The general election has to be completed within 180 days of the vacancy. Although Harman faced two tough primary challenges from progressive Marcy Winograd, it is widely expected LA Councilwoman Janice Hahn, who unsuccessfully ran for Lt. Governor in 2010, will emerge the front-runner in any special election. UPDATE: Debra Bowen is reportedly eyeing Harman's congressional seat as well. Secretary of State Debra Bowen is considering running for the congressional seat expected to be vacated by Democratic Rep. Jane Harman. "She is very, very seriously considering running for Congress," Bowen campaign consultant Steve Barkan said. "It's brand new news, and so she needs to take all factors into consideration." Bowen herself confirmed this in a Twitter post. I have always believed that the best solutions to tough problems require a bipartisan approach, and bipartisanship is the Center’s “brand.” Serving at its helm provides unique opportunities to involve the House and Senate, top experts, and world leaders in “great debates” about the most pressing foreign and domestic policy matters. Should this opportunity come to pass, I would be required to resign my seat. But please know that I would remain in Congress for some weeks and do everything possible to ensure an orderly transition to whomever is elected to succeed me. Sidney and I will always retain our residence in Venice, be home frequently, and stay engaged at USC and active in the community. You have elected me to nine terms in Congress – an honor without equal. I hope you understand how truly grateful I am for your friendship and support.